A moderately strong, deep earthquake struck near Stephens Island this morning. A magnitude 5.1 earthquake struck 50 km north of French Pass at 10:03 this morning. GeoNet advises that the quake was 80 km deep. Wellington Quake Live describes the epicentre as 20 km north-north-west of Stephens Island (Takapourewa), 113 km from central Wellington. The U.S. Geological Survey reports the quake as magnitude 4.7, in the water 90 km south-west of Patea at a depth of 95 km. 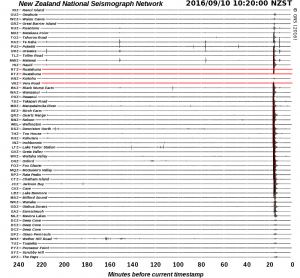 [click for larger image] The quake left a strong trace on GeoNetâ€™s seismograph network. 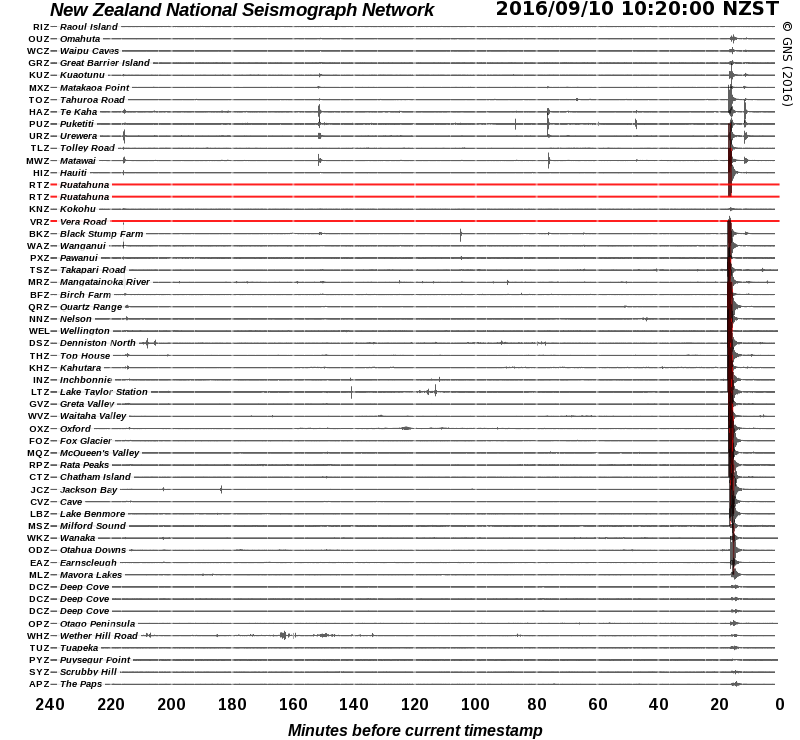 The earthquake report on GeoNetâ€™s website shows that the quake was felt from Auckland to Banks Peninsula. This entry was posted on Saturday, September 10th, 2016 at 1:00 pm and is filed under Earthquakes - Observations. You can follow any responses to this entry through the RSS 2.0 feed. You can skip to the end and leave a response. Pinging is currently not allowed.